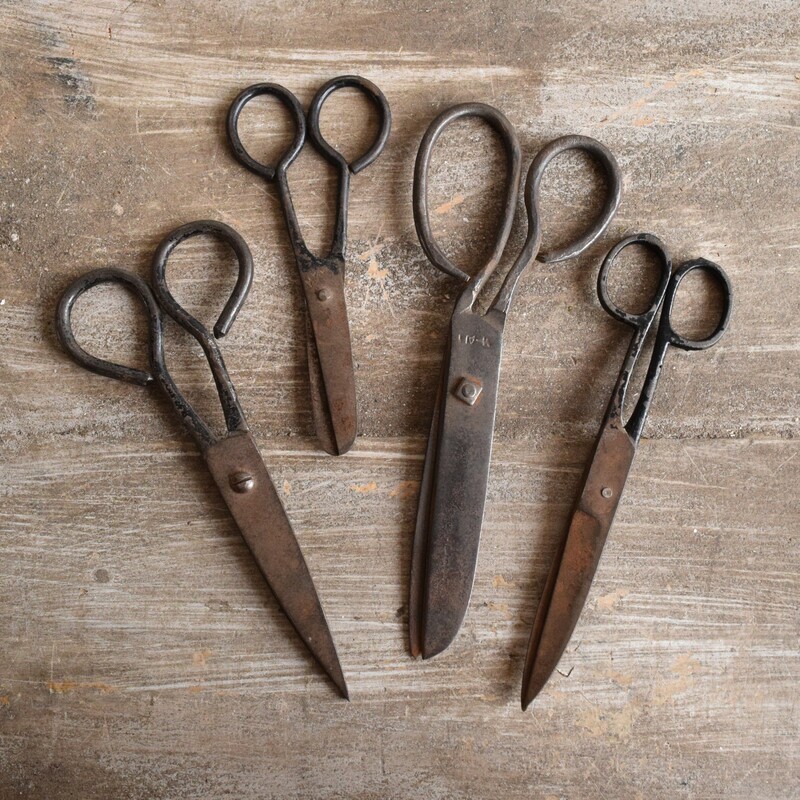 This collection of vintage scissors is full of charm. They could be sharpened and used again or alternatively feature as part of a decorative wall display. The dimensions and price are for the smallest pair. Please enquire for more information.